“In order to liberate Al-Quds (Jerusalem), it is necessary to take advantage of the machine guns that depend on faith and the ability of Islam, leave the game of politics that reeks of surrender and abandon the idea of appeasing the great powers,” Imam Khomeini said. “Imam Khomeini’s statements and terminologies such as when he said that “Israel” is a cancerous gland that must be eradicated so that the health of the region and the Arab and Islamic nation is restored overlapped with what the Islamic Jihad movement believed in the era of the start of the Islamic revolution in Iran. It is still holding on to these beliefs,” Habib told the Al-Ahed news website in an exclusive interview. “We never felt that this support was aimed at asserting dominance over the resistance factions or that it is conditional. Iran supports Palestine because it believes that Palestine must be returned to its people who should live in security before the existence of the Zionist project,” he explained. “Everyone is targeted by the deal, including Iran and the Arab and Islamic nation. We are working to ensure its failure. It will fail due to the stability and resistance embodied by the Lebanese resistance, and all the resistance movements rejecting the “Israeli” and American hegemony as well as the Palestinian people who are spearheading the confrontation against the Zionist project,” Habib concluded. 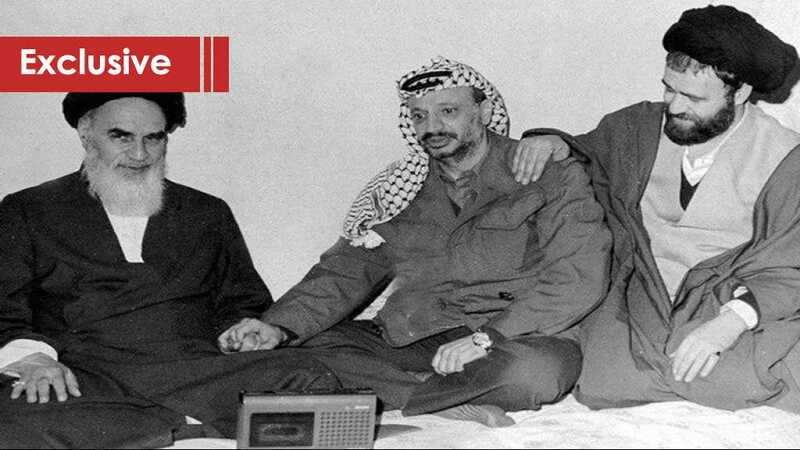 “The Shah’s regime was hostile to the Palestinian people and the people of the Ummah. It allied itself with the Zionist enemy. The Islamic Republic is its opposite. Its policy supports the Palestinian people and the Ummah. It provides support for the resistances forces. By doing so, it is supporting the Palestinian people in their fight against the Zionist occupation,” Al-Ghoul said. “One of the main features of the Iranian Revolution is the strict position not to recognize the Zionist enemy and to consider it an enemy not only of the Arab nation but also of Iran and the Islamic people. From this position, Iran defined its dealings and support for the Palestinian people in their struggle and quest to attain their full rights,” he added. “We did not feel that there was pressure, especially on the popular front in the direction of adopting certain policies. Iran confirmed that its support stems from its standing alongside the Palestinian people and the forces of resistance,” Al-Ghoul said. “We recognize the need to organize the efforts of the different forces in each of the Arab countries to face the risks of the deal at the level of the country itself, at the level of the interests of the nation and then the Palestinian cause,” Al-Ghoul pointed out. ‫إسرائيل لا تثق بجيشها البرّي: «حرب 73 ستكون نزهة»!